As you may know our shop is actually based inside the now de-consecrated Holy Trinity Church. It spent a brief spell as an agricultural museum, before remaining derelict for more than a decade before finally becoming the home of GO4 Market Cafe, in which we are based. 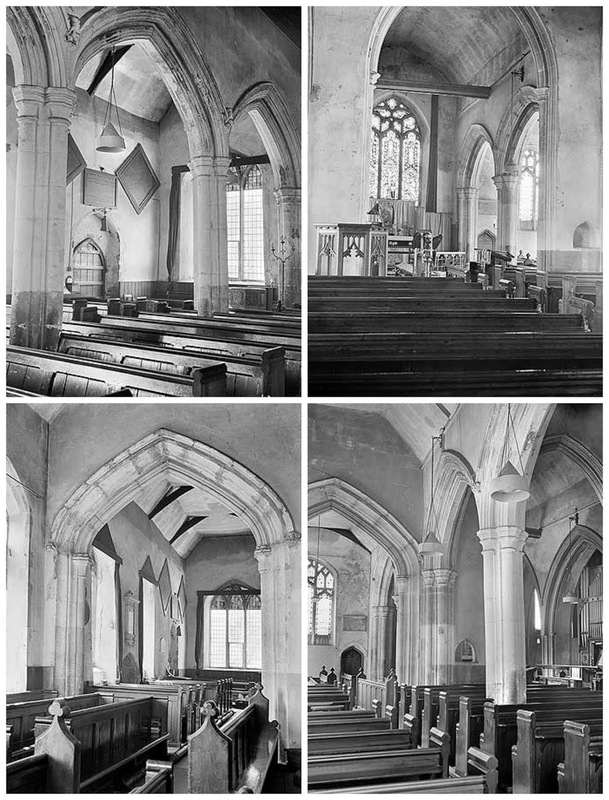 We recently stumbled across these images of what the inside of the church looked like before all these changes took place- it's the first time I have seen these and its so interesting to see. It is strange to think that where once were church pews now stand vintage dresses and mannequins! It really makes me proud that Colchester has not let this beautiful building go to ruin and now has a new lease of life.